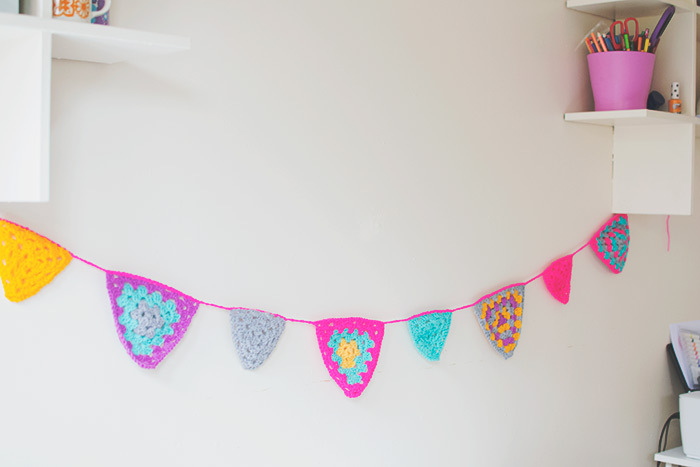 Crochet bunting was one of the things I was desperate to make after learning how to crochet granny squares a few months ago. 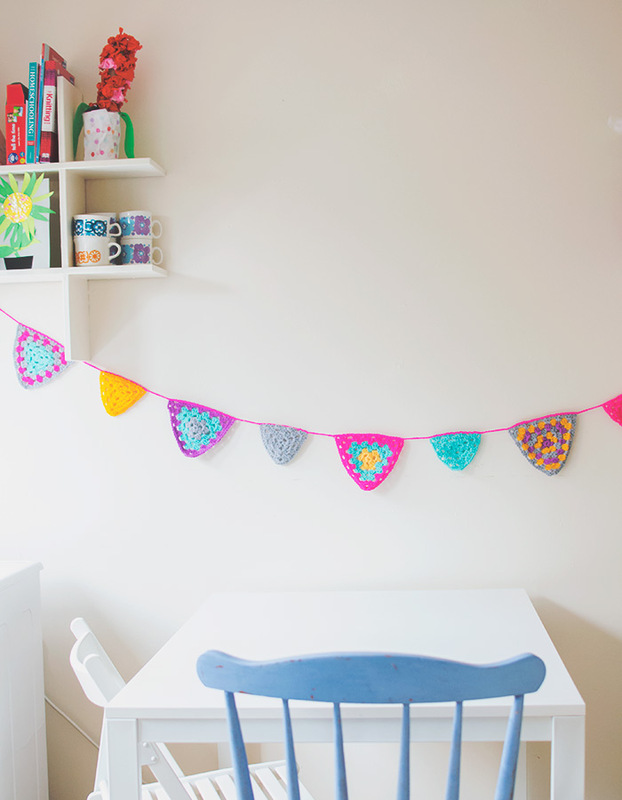 I looked at quite a few different patterns but in the end I went with this granny triangle bunting pattern by Attic 24. 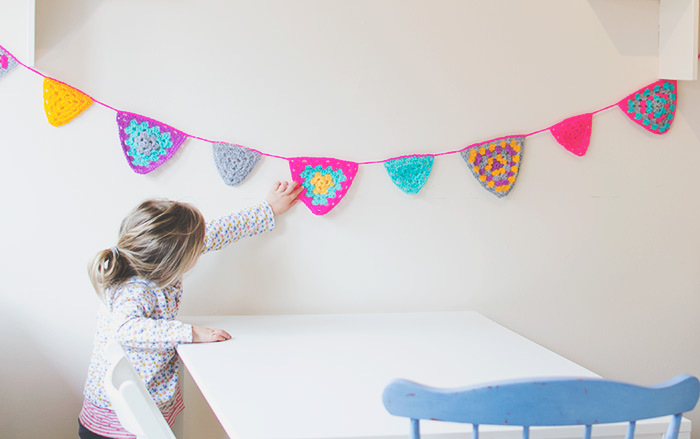 It’s a great tutorial with photos which is perfect for me as I’m still quite new to crochet and don’t understand the diagrams or stitch names just yet. I made two different sized triangles and made the little ones using the same color but used different colors for the larger triangles. Then I just chain stitched a long line adding the triangles as I went and chaining 10 in-between each one. I am so happy with it, I just love the way crocheted items look and there is something so satisfying about finishing a project. I also just find it relaxing to sit there in the evening with some crochet. Definitely one of my favorite hobbies. I’m addicted to buying yarn too, my collection is getting rather large although funnily enough I still only use about 6 colors! Oh and I want to try and make Cherry some clothes out of granny squares too. 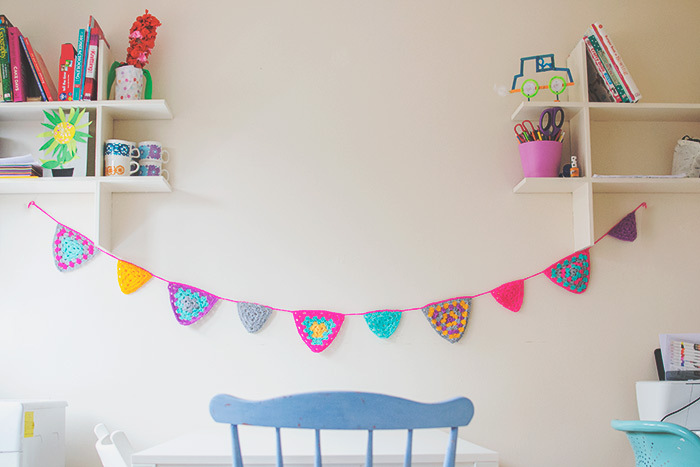 As you’ve probably noticed granny squares are my favourite things to crochet, they are just so quick and easy. 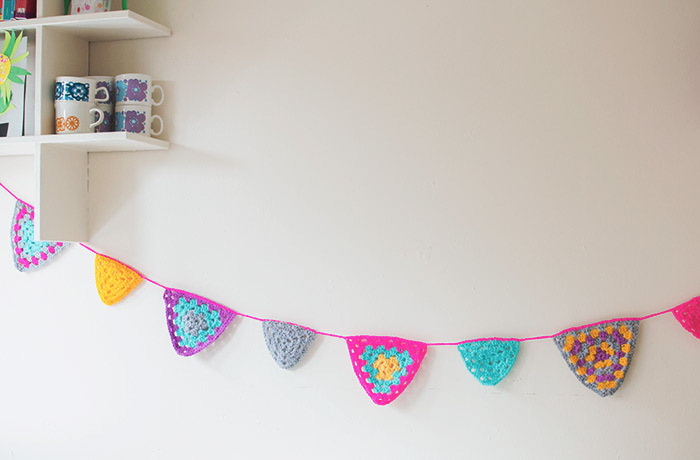 If you love crochet too then do come and follow my Pinterest board, it’s very colorful and my favorite board I think. Follow Jess @ Along Came Cherry’s board CROCHET on Pinterest.